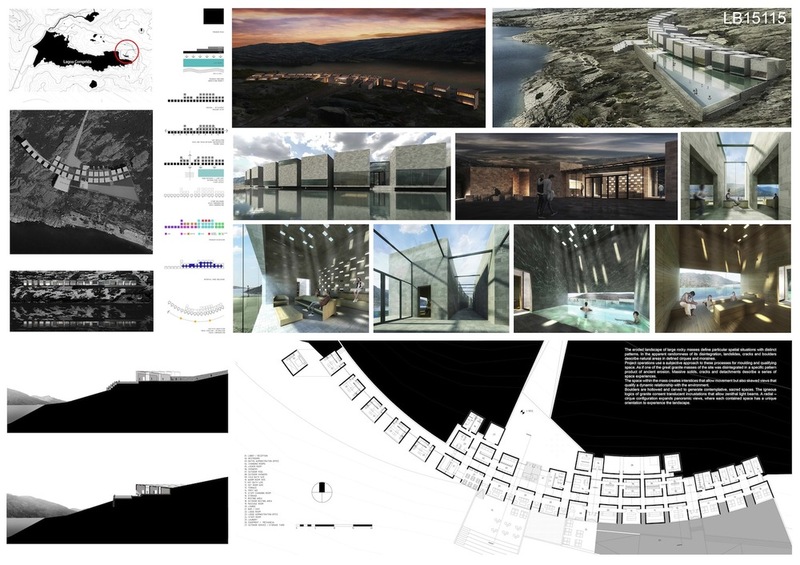 The project resolves in a convincing and a precise way the dialectical relation between the artificial and the natural, at the same time that proposes a great functional and constructive clarity. 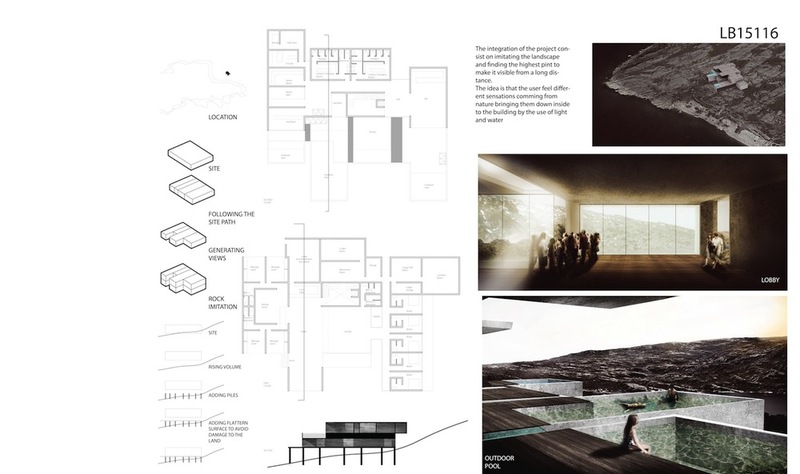 With minimal resources it manages to create a diversity of atmospheres of great spatial richness, susceptible of producing the emotion. 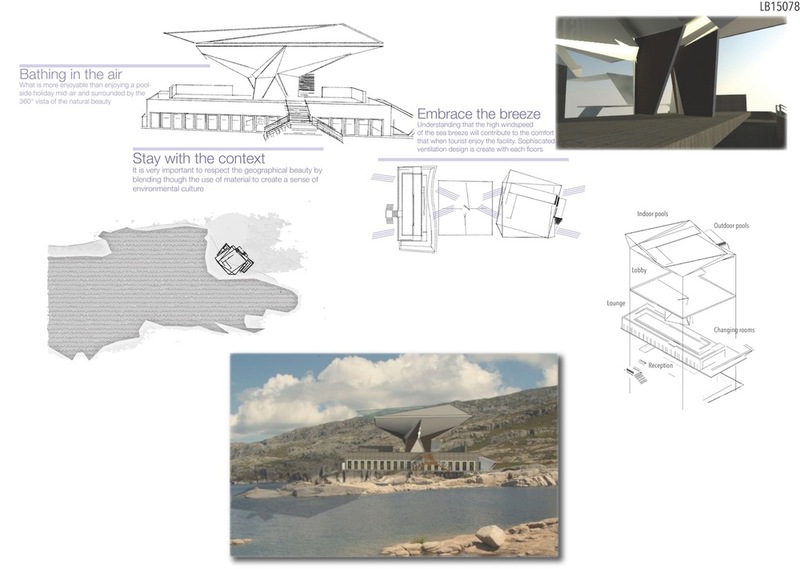 Its simplicity gives it the sobriety and elegance that fits perfectly in an environment of such strong character. 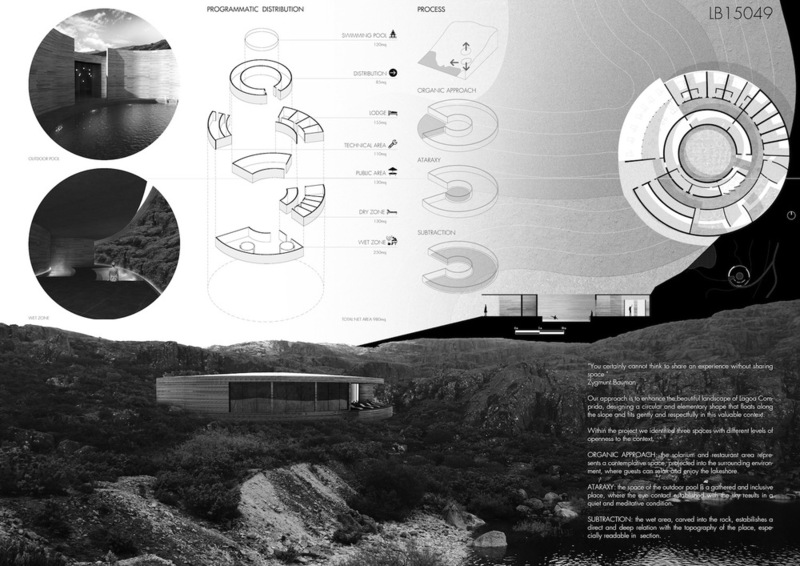 The proposal also has a valuable timeless component. 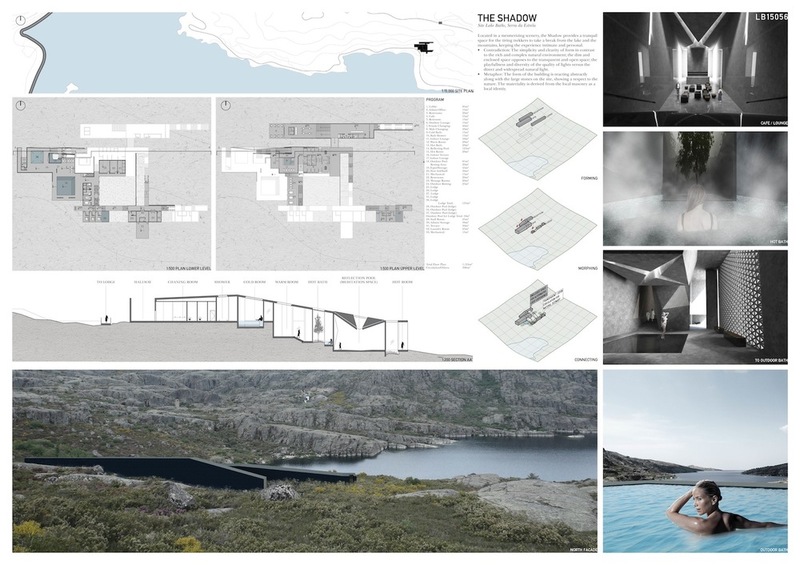 The project makes disappear the limits between the interior and the exterior in order that the constructed and the natural intermingle finely and poetically, looking for a primitive and demanding relation of the human being with the natural elements (particularly with the low temperatures) that takes the experience of the space to its first function of refuge. 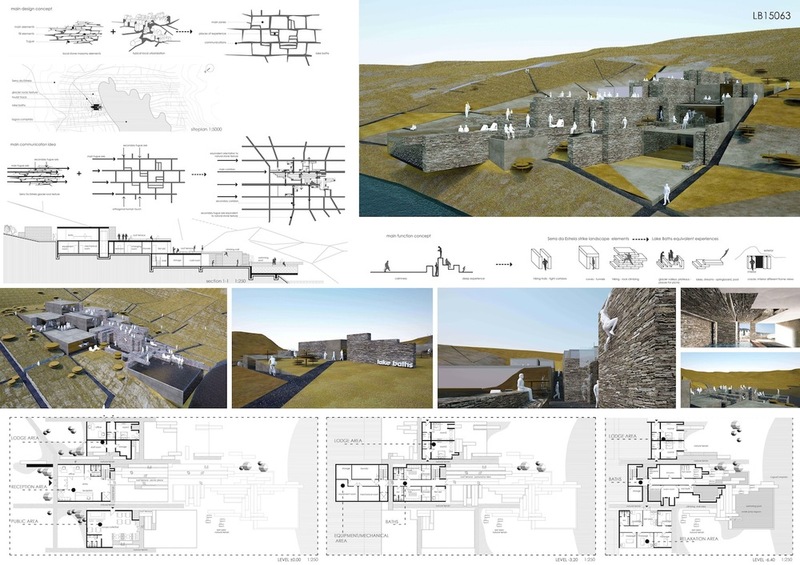 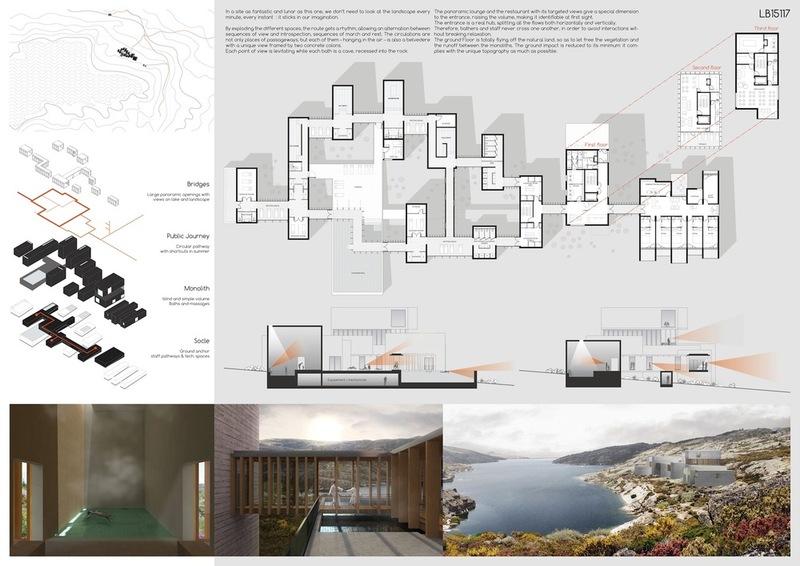 This project highlights the relationship generated in which the proposal is interlaced with the environment through a reduced geometry to the minimum expression through a line, so that nature and program are interlaced and coexist under the same cover. 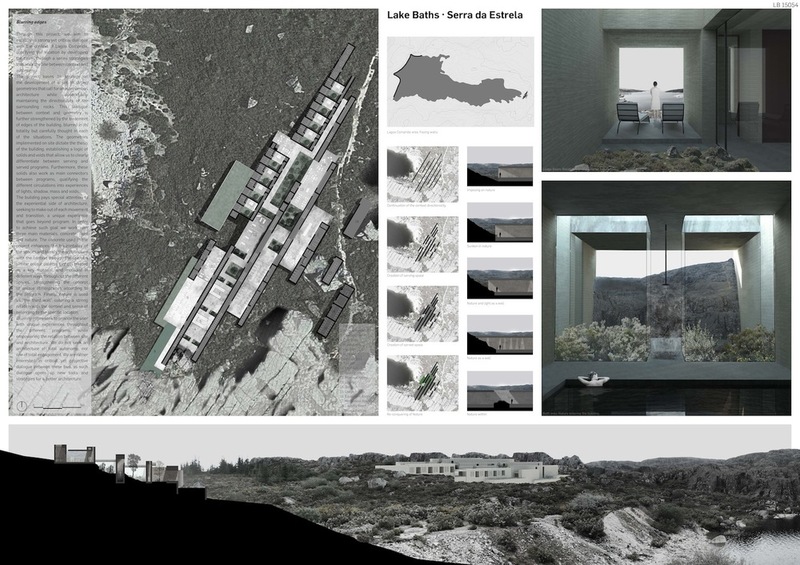 The project assumes a distance of the nature and a search of formal affirmation over the landscape at the territorial scale. 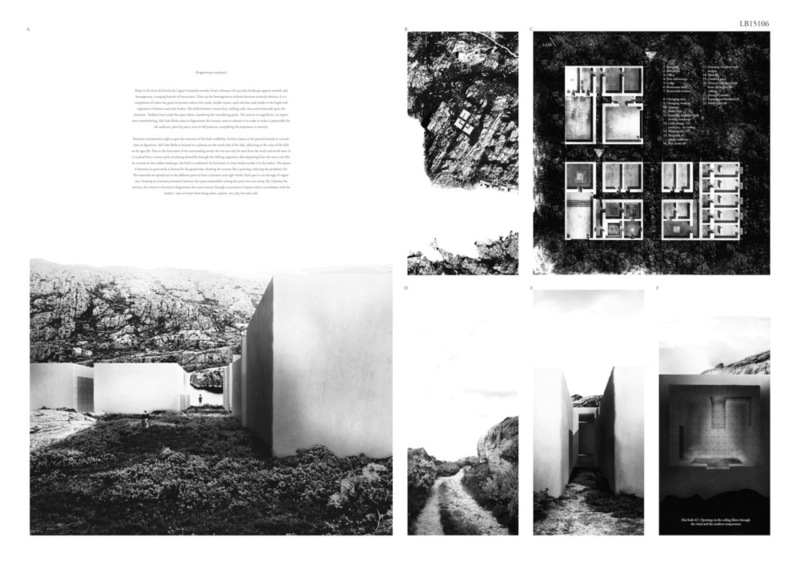 On the contrary, at the scale of uses it seeks to approach nature by withdrawing into itself leaving place to the preeminence of the natural. 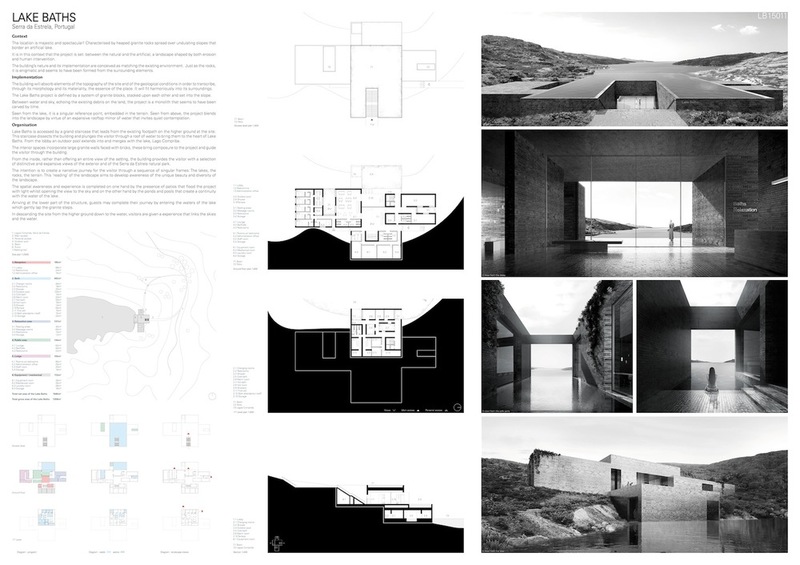 This ambiguity added to a strict and clear functional definition, produces an object of great conceptual force. 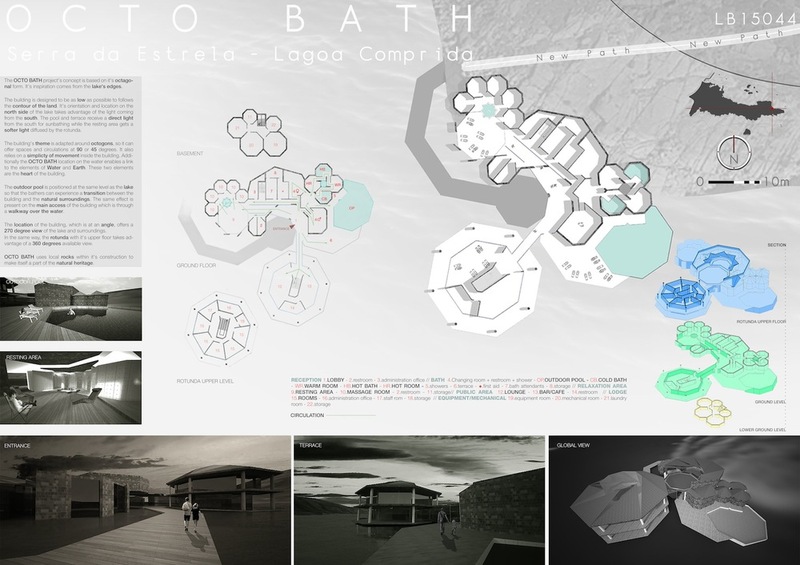 Project with clear references of Portuguese architecture. 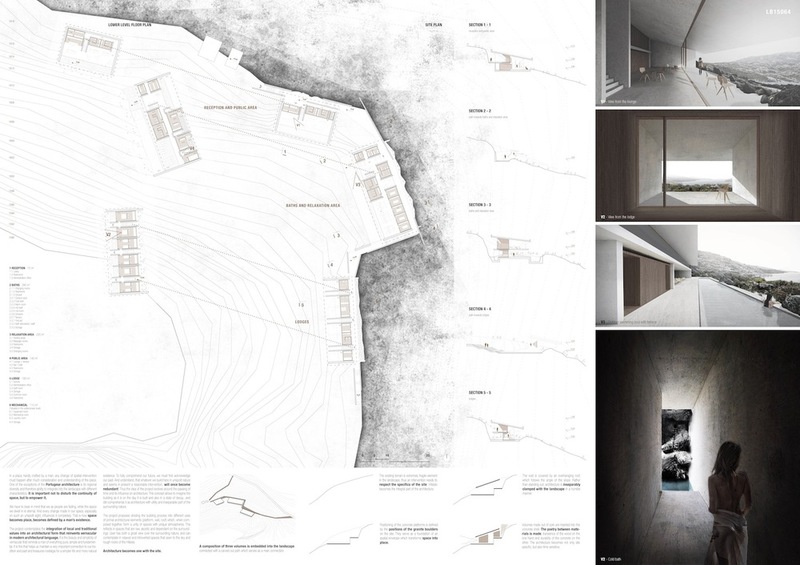 Stands out for their pure lines and marked geometry that evokes to rocks that emerge by fusing with the place. 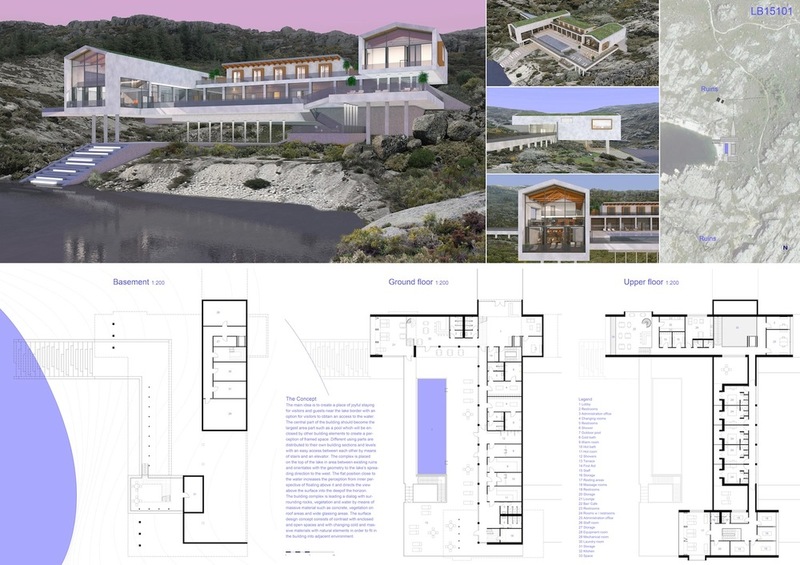 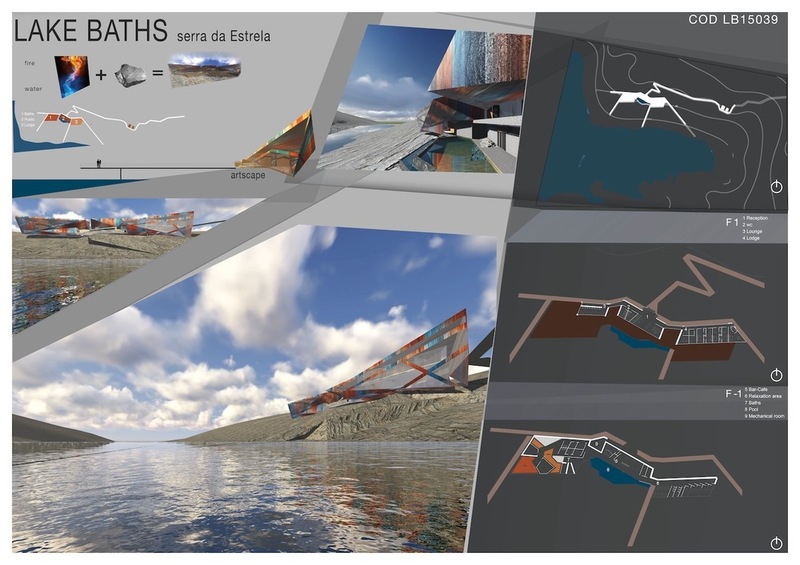 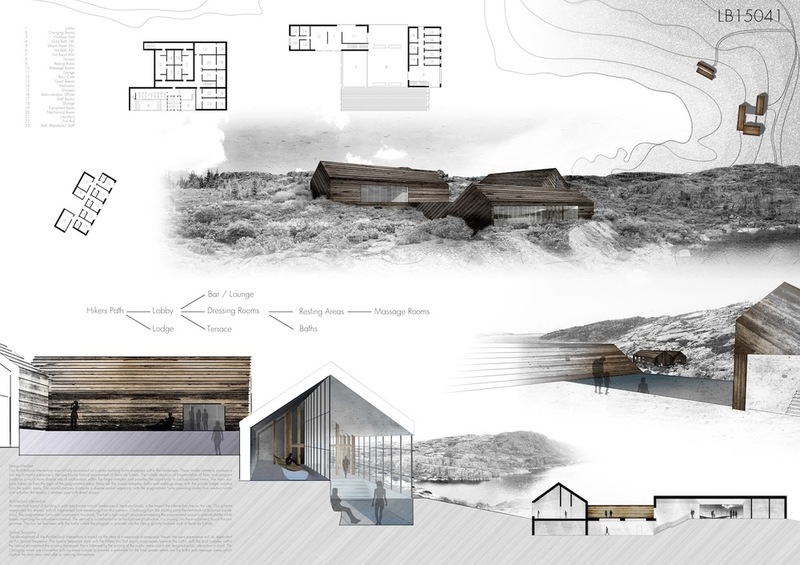 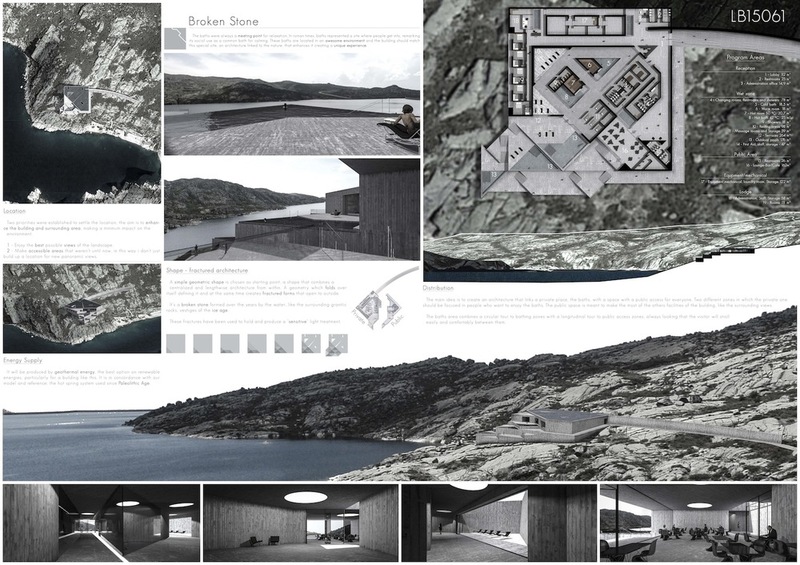 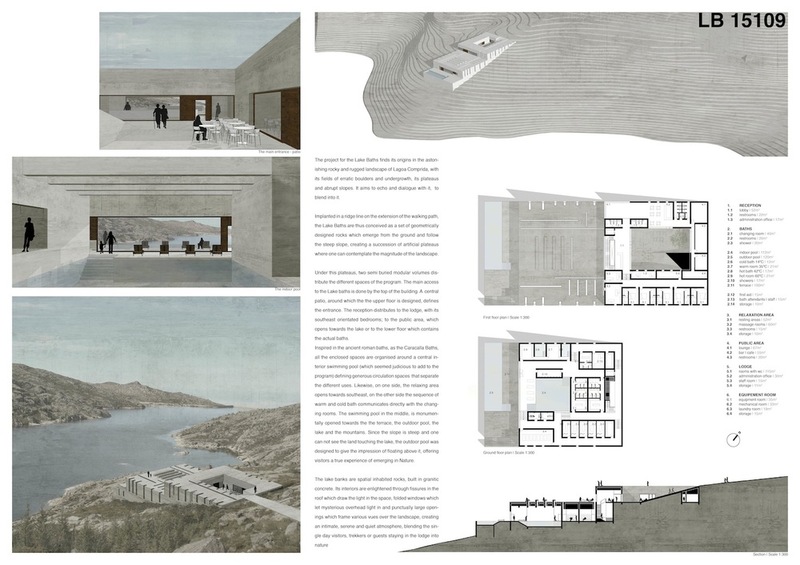 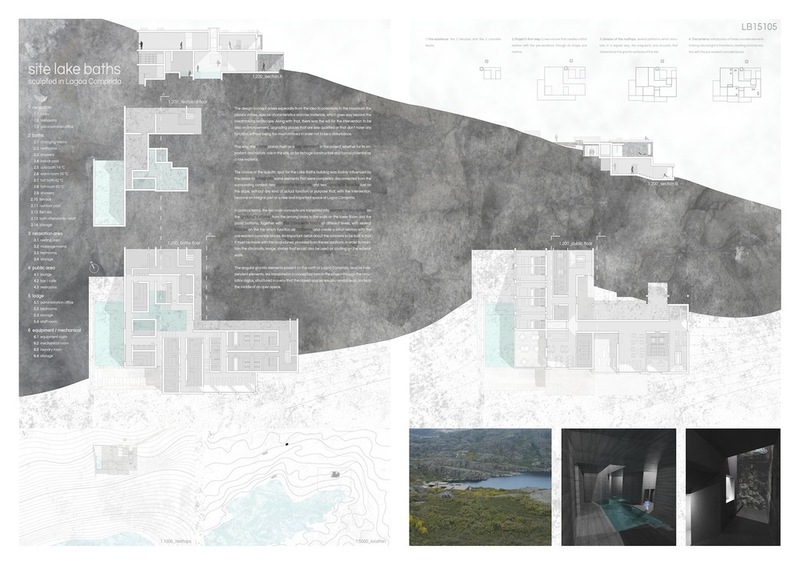 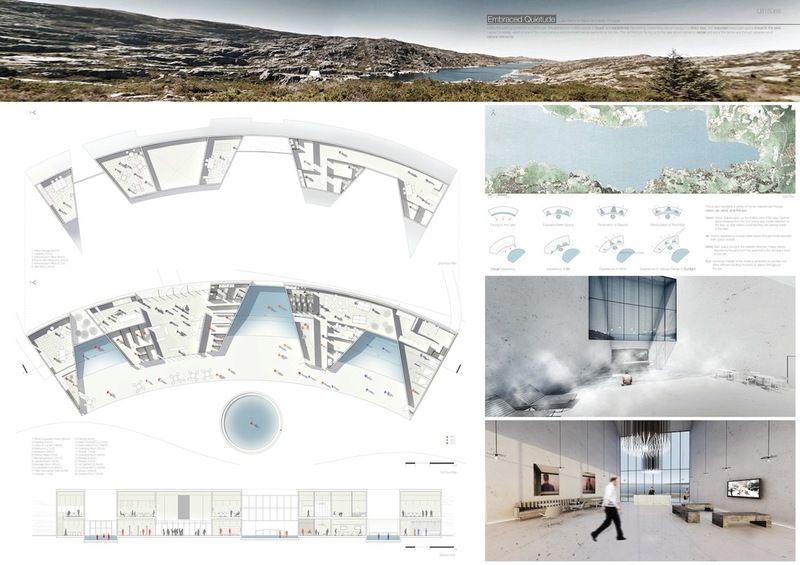 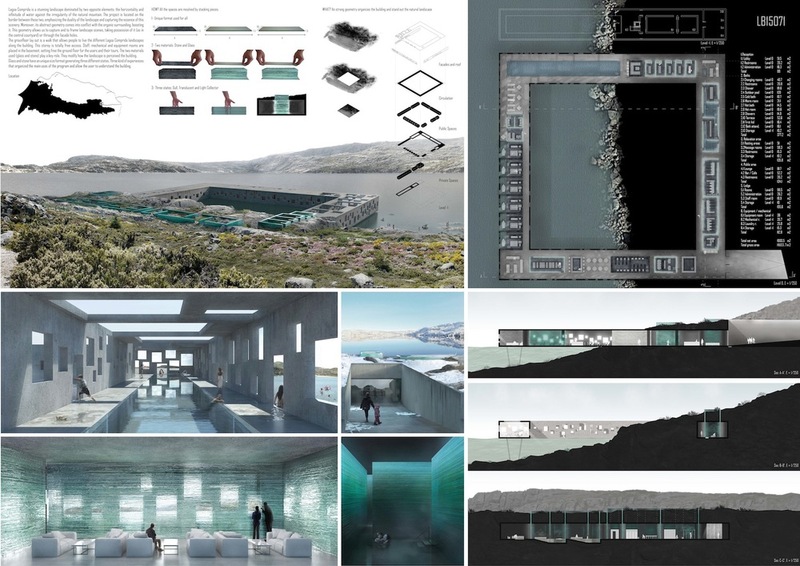 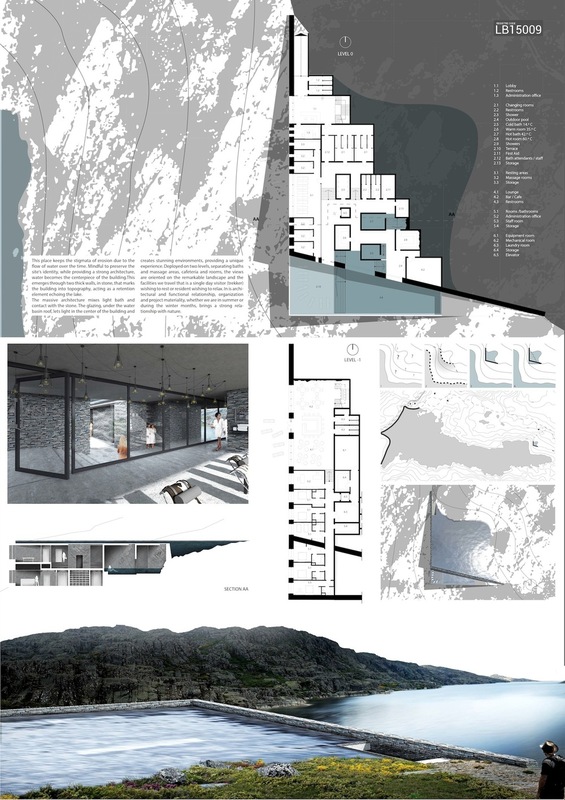 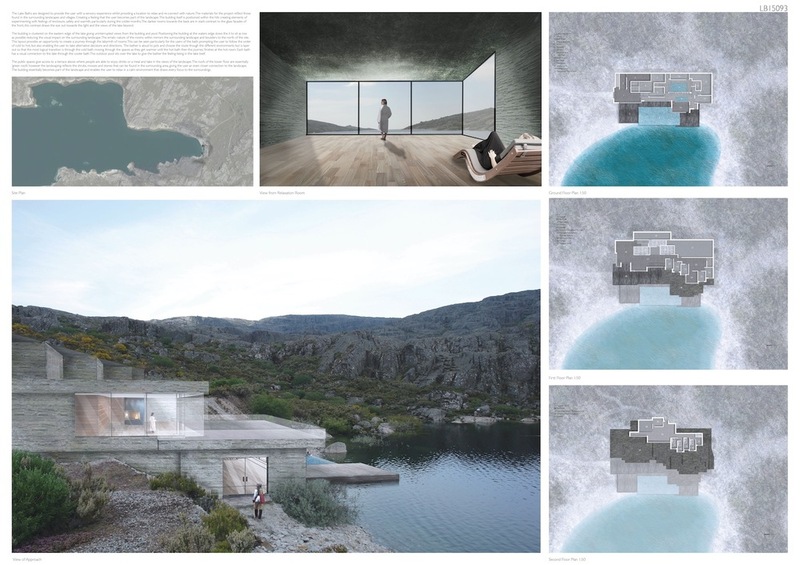 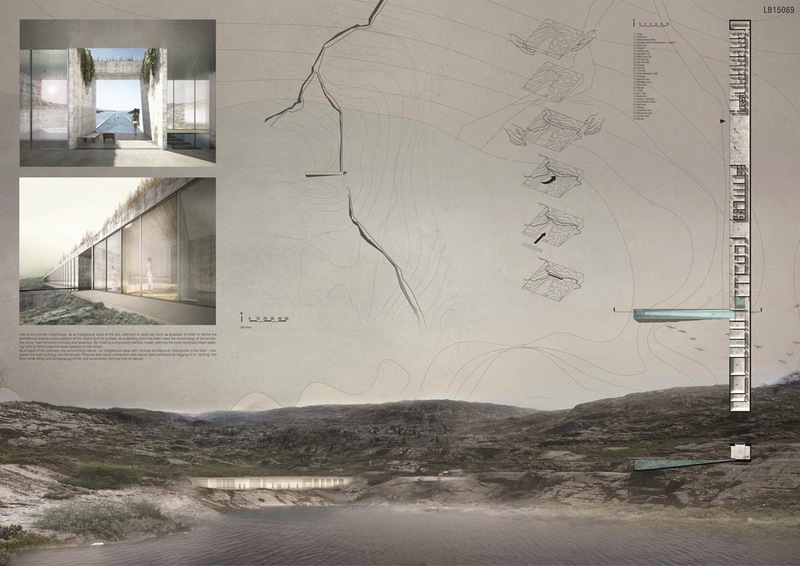 This international one-stage architecture competition invites all architecture students, young architects and young professionals with a degree in architecture studies (≤ 40 years old) to develop and submit compelling ideas for the design of Lake Baths located in Serra da Estrela, Portugal. 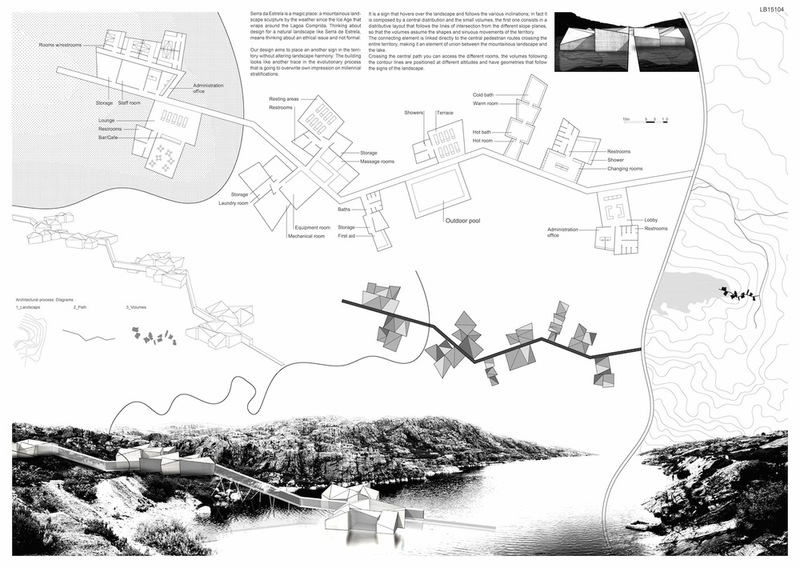 Lagoa Comprida is a remarkable lake in a prominent landscape. 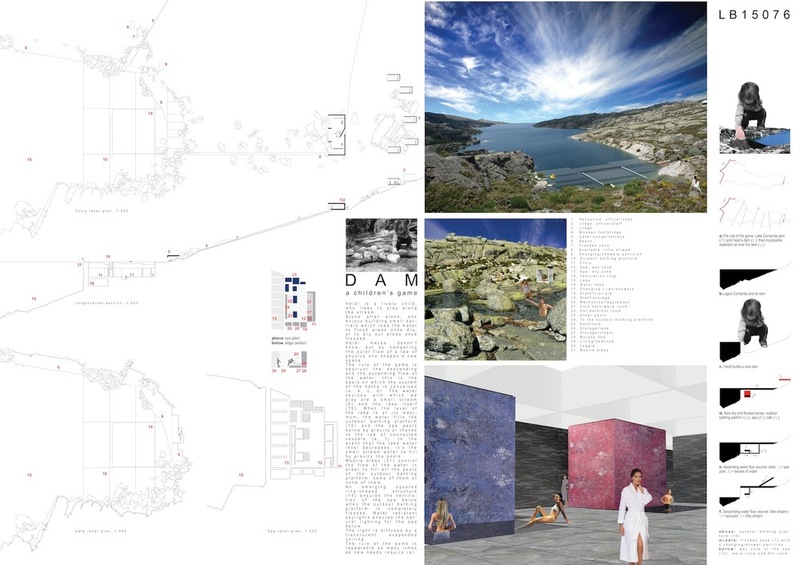 A place with one of the most impressive traces from the Ice Age period, a glacier lake with impressive fields of erratic boulders.